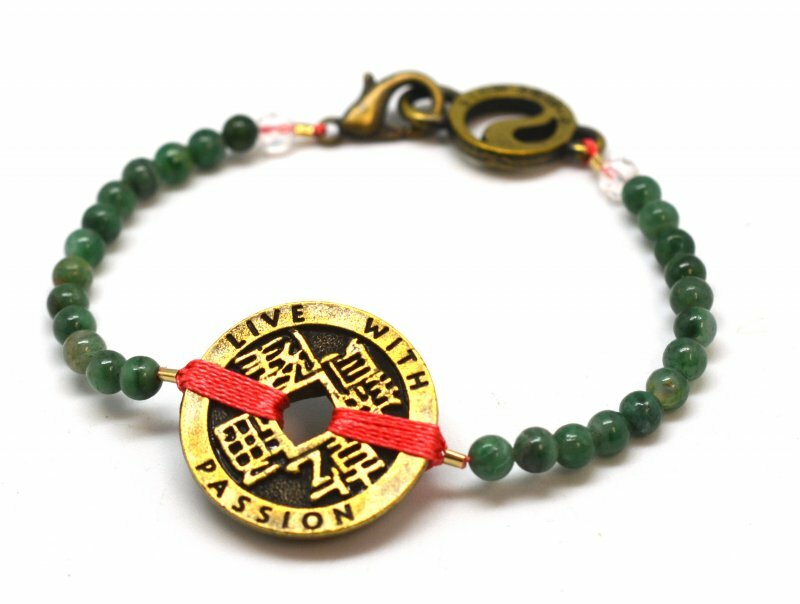 To be truly prosperous one must live in a state of joyous expectancy. 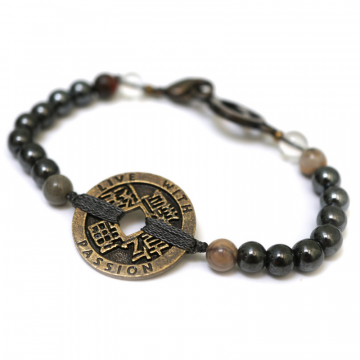 This Energy Muse piece encourages prosperity in all areas of your life. 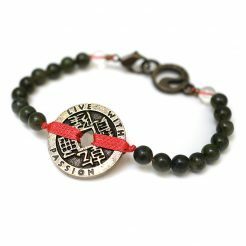 Jade has long been thought to attract wisdom, peace and harmony. 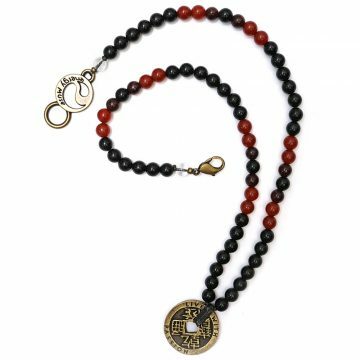 This powerful lucky stone has been strung with the color Red, considered to be extremely auspicious. 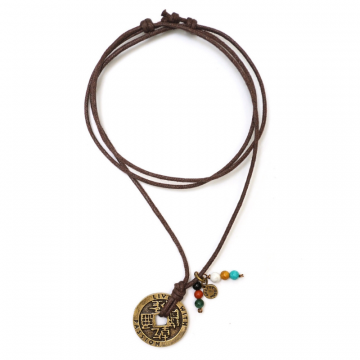 Wear this piece when you seek new opportunity. 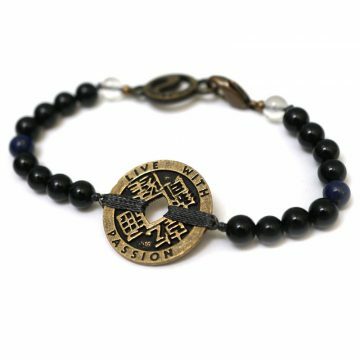 The Chinese Coin is an ancient and powerful manifesting tool, valued for attracting wealth, luck and endless opportunity that includes Tony’s iconic message, “Live with Passion.” Created exclusively for The Tony Robbins Foundation.